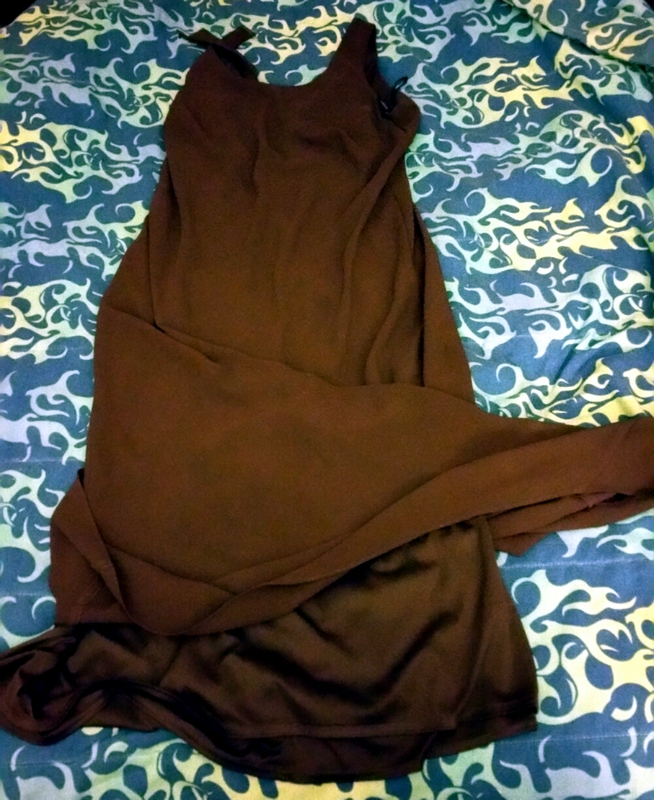 Plain chocolate brown maxi dress with a solid inner layer and a sheer matte outer layer. 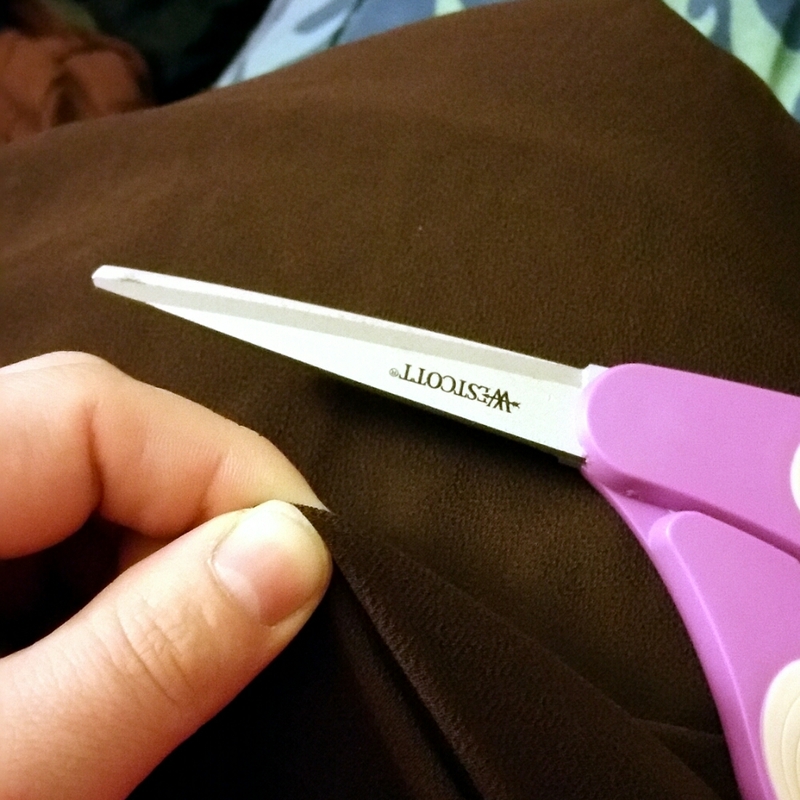 Purchased new scissors for this project because old fabric scissors are not to be trusted. The major cuts are all done. It is ready for trappings and trimmings. Aka- the fun part… pictures to come!